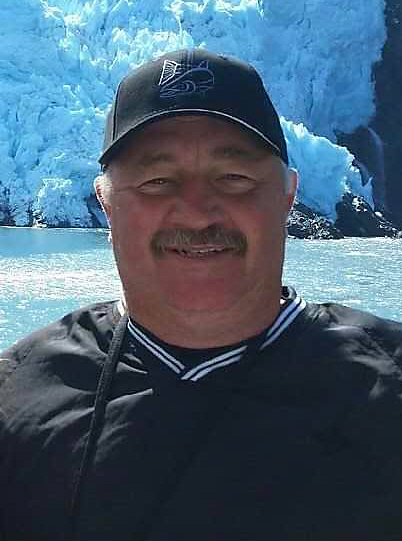 Richard “Pete” Peterson, 58, of Mandan, passed away March 21, 2019. A Mass of Christian Burial will be held at 11:00 AM on Thursday, March 28, 2019 at Spirit of Life, Mandan, ND with Rev. Chris Kadrmas as celebrant. Visitation will be held Wednesday, March 27, 2019 from 5:00-8:00 PM at Weigel Funeral Home, Mandan with a Vigil Service at 7:00 PM. Visitation will continue at the church one hour prior to the service on Thursday. Burial will take place at a later date. Richard “Pete” Allen Peterson was born in Minot, ND on December 12th, 1960. He was born 6 weeks premature and named after the doctor that saved him. He worked summers with his parents on highway construction sites. He was a good football and basketball player, and had a knack for drawing. After graduating from Velva High School in 1980, he went on to earn a degree in Architectural Drafting and Estimating at the Wahpeton State School of Science. He married Rebecca “Becky” Effertz on October 1st, 1988 at St. Cecelia Church in Velva, ND. But, they started their adventures long before then as high school sweet hearts during the junior homecoming dance. From that day on, they found countless adventures traveling the world never passing up a good time. The couple recently celebrated their 30th wedding anniversary. Their homes were numerous, if they could pull in a camper, put up a tent, or even park a vehicle, that’s all they needed. For their longer stays they settled down living in Kansas City, KS, Portland, OR, and Coeur d'Alene, ID before returning to their home state of North Dakota in 1991. After a brief stint living north of Bismarck, he and Becky moved the original Effertz homestead from Velva to their rural property north of Mandan in 1995. Pete remodeled the house from floor to ceiling and the couple raised their four children there. After years of working construction for others, Pete started his own business, R&R Remodeling, in 1998. Pete will always be remembered for his handiwork and craftsmanship, but more importantly how he put his hands and heart to good use. His hobbies were many, but he enjoyed the outdoors more than anything. Pete loved hunting, fishing, camping, golfing, skiing, ice skating, grilling, hot tubbing, attending his kids sporting events and Bison games, a good bonfire, a trip to Menards, and a cold Bud Light. All of which he shared with his friends and family. Everyone who has met him knows you were only a stranger once and a friend for life from then on. Pete’s close friends saw him as a brother and he was a dear friend to all his family. His gentle eyes, infectious smile, and warm personality drew people in. He changed people’s lives and all for the better. Whether it was as large as building someone the perfect home or as small as sharing a story over a cold one. Everywhere he went he made a significant impact on everyone. He is survived by his wife: Rebecca, children: Thomas (26), Daniel (23), Hannah (19), and Samuel (17), brother: David, sisters: Delmae Larson, Laurie, Faye (Kevin) Paulsen, and numerous in-laws, nieces, and nephews. Pete is preceded in death by his parents: Mary and Stanley, mother-in-law: Loretta Effertz, and brother-in-law: Kevin Cordill. If you would like to donate on his behalf, the family has chosen the Bismarck Cancer Center Foundation. Please go to Pete's Tribute Wall to sign the guestbook and share memories with his family.